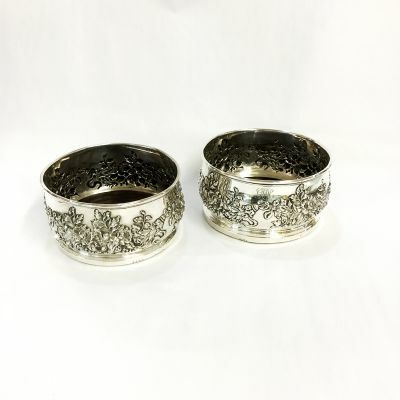 A beautiful antique pair of embossed floral garland sterling silver bottle coasters, made by Mauser Manufacturing Co. USa, circa 1890. They are approx. 4.25 inches (11.22cm) in diameter (rim interior).